Posted April 21, 2017 under Ask Us. 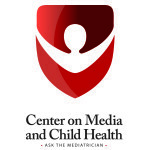 You are not alone in trying to figure out whether news is real or fake—a recent study found that that a lot of teens have trouble telling the difference between real and fake information online. Fake news is defined as ‘made-up’ information (that can be in the form of an article, a social media post, a photo, or even a video) with the goal of misleading people. Fake news can be dangerous as it can cause people to believe and share information that can harm others, and sensationalized headlines can be easy to fall for without reflecting on what it is we are reading. It is important to think about what you read, see, and watch with a critical eye. 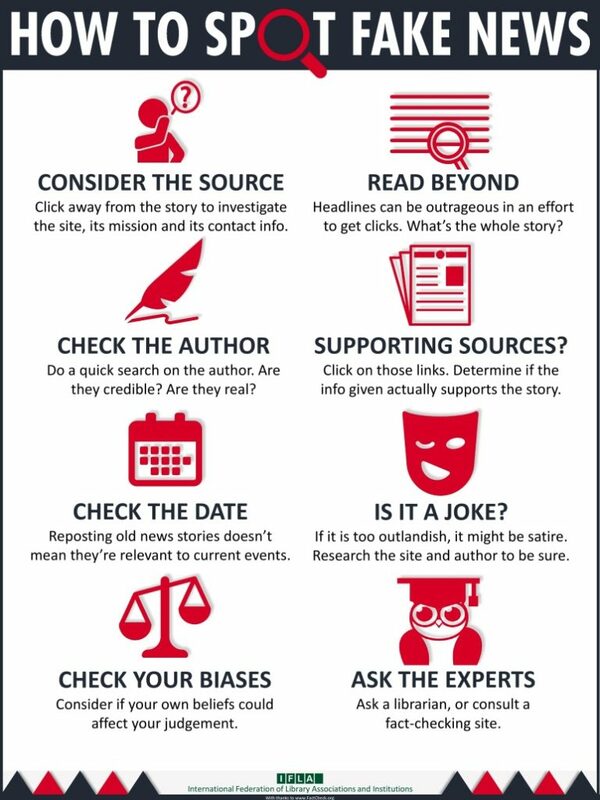 If you followed the tips above and still aren’t sure whether something is real, visit your local public library, and ask a librarian—they are information experts who are eager to help! Politics in the news can be overwhelming, and we tend to rely on news that reinforces what we already believe. It is important to be thoughtful about what we hear and what we choose to share with others. Above all, remember to be patient, respectful and kind to others who may have different political views. Society is not the product of just one or a few people—it is built upon all kinds of different people whose diversity can enrich, strengthen, and even bring us together.